Snowflake Ornament Company first began as a home-based business in 1993, and is the result of designer Beth Machall-Dwyer's "long-standing love of color and interest in filling her Christmas tree with unique ornaments." Beth has been creating handmade ornaments since she was a girl. By the time she was ten she was making felt Christmas tree ornaments for all of her family. She used felt to make teddy bears, stockings, Mr. & Mrs. Clause, reindeer - and even her favorite 60's rock band see picture at right. One year she made an entire nativity scene from clothes pins see picture at right, popsicle sticks, and her mother’s fabric scraps. “I recorded the story of the birth of Jesus on my dad’s audio cassette recorder and re-enacted the story using my clothespin characters while playing the tape. My sister, Peggy, stood in the back of a darkened room and held a large flashlight as a spotlight while my aunts and uncles watched on. I always enjoyed creating entertainment – magic shows, dance performances, parades and the like - when the family gathered for special occasions. My nativity presentation combined my love of crafts with my love of entertaining the family. ” See picture of Beth and Peggy below. In the mid-70’s, Beth sold her first crafts to the local hospital gift shop in Huntington, Indiana. “I took blown-out chicken eggs and created every animal imaginable.” With felt, colored paper, markers and glue, Beth made pelicans, bears, giraffes, deer and even peacocks and crocodile. The creatures were made to stand upright, or hung on a branch. “I thought I was making ‘a killing’ at 50 cents per ornament!’ says Beth. 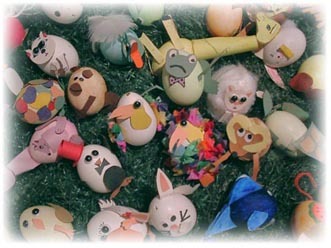 See egg creatures on right. In 1979, it was an eighth-grade art class that inspired an on-going interest in the calligraphy style of handwriting. She created signs and addressed invitations for family and friends, and eventually did her own high school graduation announcements using a calligraphy kit her parents bought her. It was that love of calligraphy that would later inspire her to personalize her glass ornaments. 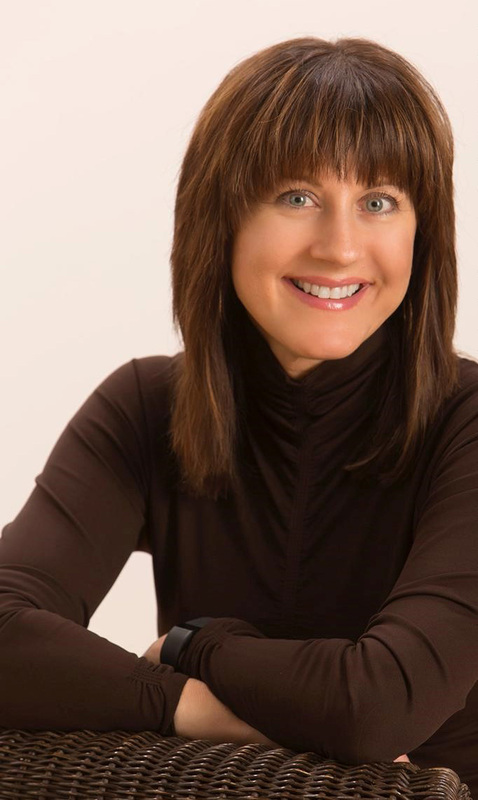 After obtaining a degree from Purdue University in the late 1980’s, Beth purchased her first home. Money was tight at the time and it was almost Christmas time. She didn’t have the extra cash for ornaments, so she made her own from glass and paint. “I feel like I have come a long way since those first ornaments. I have certainly refined the creation process over the years.” She cringes when she looks at her earlier creations, but at the time they served their purpose well. The following year, Beth decided to combine her painting and calligraphy and sell personalized ornaments at local craft shows. She named her company, Snowflake Ornament Company, because like a snowflake, each ornament is unique and one-of-a-kind. “My first show was a disaster. The show was held at a school that lost electricity due to a nearby car accident.” Beth had to display her ornaments outside on a windy day. “It took all I had to just keep the ornaments from falling to the ground!” After a few years of shows, Snowflake Ornament had a local following. Her repeat customers appreciated the uniqueness of her work and that it could be customized with names and messages in gold or silver inks. “I purchase ornaments for my children and family every year. It’s always nice to have a keepsake with each of their names and the year it was given”, says client Karen Unger. The interest in Snowflake Ornament Company continues to grow to this day. Corporations, not-for-profits, museums, gift shops and individuals from across the country appreciate the beauty of this one-of-a-kind glass art. Beth values her regular clients and welcomes new opportunities whether it is an ornament for a baby's first Christmas or hundreds for a corporation's holiday gifts. Beth has been an Embassy Centre Festival of Trees designer since 1999 and was voted "People's Choice" for her tree named, "A Celebration of Patriotism." The tree was decorated in red, white, and blue tinsel, glass ornaments, lights and shimmering ribbons. Beth is a member of Ohio Designer Craftsmen and American Craft Council. She has been featured in local area newspapers for her work and contribution to local arts. SNOWFLAKE ORNAMENT COMPANY GIFT ON HGTV! 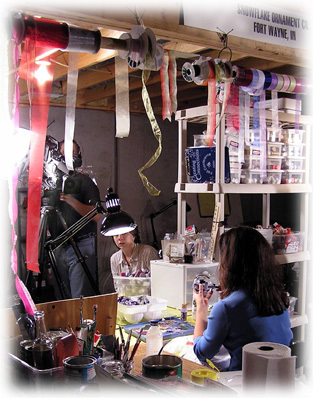 HGTV's special "Year Round Christmas" aired during the winter of 2004 and 2005. Click here to read Snowflake's HGTV press release and watch the program.